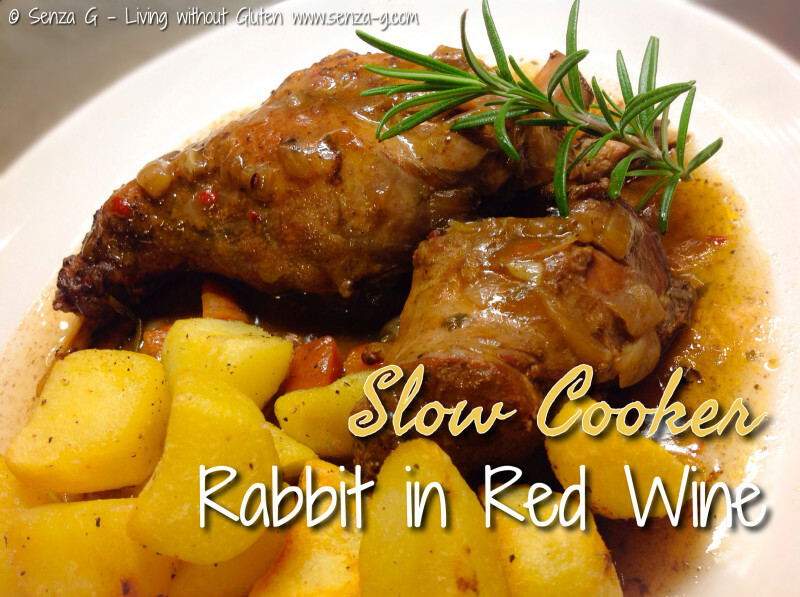 Have you ever tried cooking rabbit in a slow cooker other than stove top method or oven? You still need to initially brown the onions and the rabbit pieces, but then you put everything in the crockpot, cover and leave to simmer to perfection! Sauté the onions in a little olive oil until golden, take out and place in the slow cooker. Season the rabbit pieces with salt and pepper. In the same pan, brown the rabbit pieces in a little more olive oil and add the red wine. Cook for a few minutes and then put the rabbit pieces together with the wine in the crockpot as well. Add the carrots, unpeeled garlic cloves and herbs. Stir the mixed spice, Chilli flakes (if using), salt & pepper, tomato paste, sugar and Worcestershire Sauce in the chicken stock, combine well. Cover the rabbit pieces with the chicken stock. Put the slower cooker on low and leave to cook for about 6 hours. Before serving, remove the rabbit pieces and keep warm. Remove the garlic cloves and squeeze out the garlic out of their skins into the sauce. Pour the sauce in a pan and thicken it with a little cornflour mixed with a little water. Serve the sauce over the rabbit pieces. Lovely with roasted potatoes or creamy mash and vegetables of your choice. Note :- I had leftover sauce, so I added some peas to it and served it with spaghetti – Delicious!